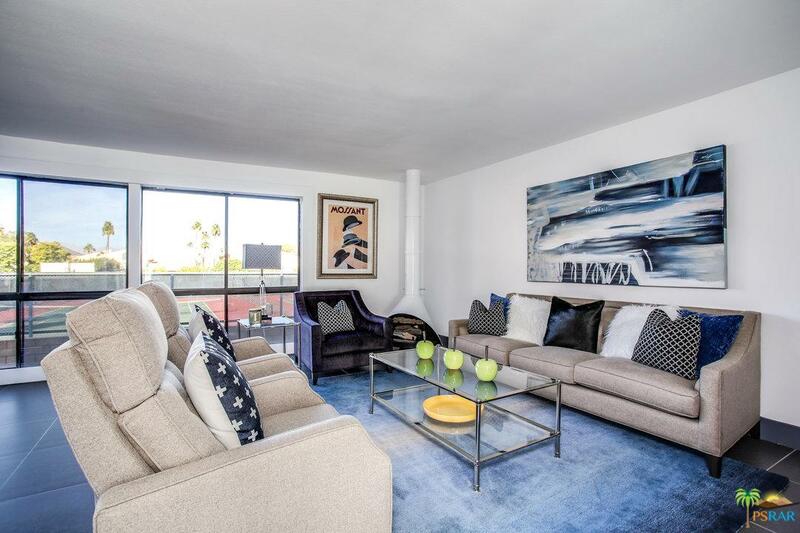 Light and bright beautifully remodeled condo located in the Indian Canyons on Fee Simple land that you own. Intimate 10 unit condo complex with tennis courts and subterranean parking. The pool and spa are centrally located, and offer lounge chairs, umbrellas, and unparalleled views of the San Jacinto Mountains. The main living area features open living room with large windows to allow natural light, formal dining, breakfast counter. Newly updated kitchen with new counters, refrigerator, paint and quartz counters, sink, garbage disposal and faucet. Remodeled powder room and laundry. Offering 2 master suits on the second floor, each with generous closet space and newly remodeled private bathrooms. Enjoy gorgeous mountain views from almost every room. Community tennis court for your enjoyment. Minutes to downtown Palm Springs, and walking distance to Indian Canyons North and South golf courses, and amazing hiking trails!